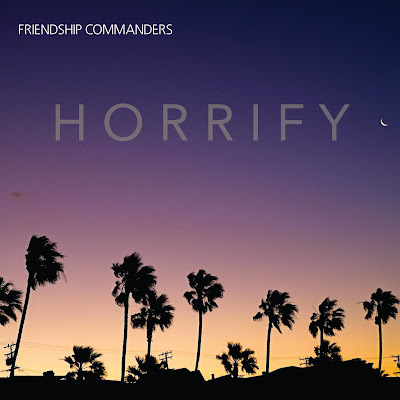 Friendship Commanders: NEW SINGLE + VIDEO "HORRIFY" OUT TODAY! // PRE-ORDER BILL ALBUM! First, the debut single from the BILL album is here! We're so happy to share "HORRIFY" with you all. Links to the song on different platforms below, as well as a link to our video for it, directed by Jerry Roe, shot by Jerry Roe and Perry Bean! Special thanks to Kat Jones, EJ Holmes Dawson, and Perry Bean for their incredible help. Song written by Buick Audra; produced by Steve Albini and us. Cover photo by Zach Barocas; art and layout by Buick Audra and Ric Simenson. If you're interested, the lyrics are at the very bottom of this post.